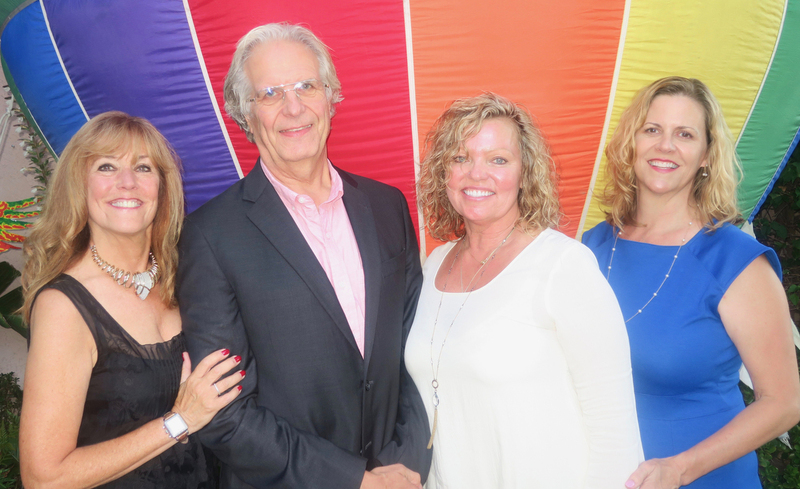 Photo: Gail Arnold Mindy Denson, Julian Nott, Sonja Nelson, and Ruth Ann Bowe. World-record-holding balloonist Julian Nott died on Tuesday after a basket malfunction near San Diego. At the time, Nott had descended and landed safely from a ballast test using cryogenic helium, when his basket encountered an “extraordinary and unforeseeable accident.” The Santa Barbara resident suffered serious head injuries and died peacefully in the hospital, his family announced. The only balloonist ever elected to the Society of Experimental Test Pilots, Nott was a creative innovator in balloon technology, holding a record for rising more than 55,000 feet; he designed and constructed the pressurized cabin that enabled him to survive negative 69 degrees Fahrenheit and one percent oxygen. He held 79 World Ballooning Records and had been the first to cross the Sahara and Australia in a balloon. He’d crossed the English Channel in a solar balloon and also built and flew the “Nazca Prehistoric Balloon” using materials available to pre-Inca Peruvians 1,000 years ago. A native of Bristol, England, Nott had a master’s in physical chemistry from Oxford University. In addition to many honors and fellowships, Nott was associated with UCSB’s Kavli Institute for Theoretical Physics and was the first to fly the “pumpkin,” an “ultra long-duration balloon” using advanced materials, now in development at NASA.